To better identify and treat the increasing number of patients in Connecticut suffering from dementia from Alzheimer’s and other diseases, hospital staff members who provide direct care to patients are now required to receive training on how to identify the symptoms of dementia. Some patients end up returning to the hospital soon after discharge because they have not been instructed properly on their follow-up care or were unable to follow instructions. Under the CARE Act (Caregiver Advise, Record, Enable), a hospital must assign a caregiver, designated by the patient, in the patient’s discharge plan. They will notify that caregiver of the patient’s discharge, and instruct them on any post-discharge tasks with which the patient will need assistance. To better help patients with chronic illnesses and others who have a hard time making a monthly trip to the drug store, pharmacists are now allowed to refill a prescription for up to a 90-day supply. The prescription must not be for a controlled drug. The pharmacist must inform the doctor of the refill within 48 hours after the refill is made. This does not apply to patients whose insurance won’t cover the cost without additional copayment. Pharmacists must now include the website and telephone number for the FDA’s drug safety and reporting program (MedWatch) and the manufacturer’s name with generic drugs. If the patient is being given a generic drug, the pharmacist must include the brand name on the label. This will help to ensure that patients are aware of what drugs they are taking, where these drugs come from and where to report adverse effects of the drugs. Certain financial agents must receive training on elderly fraud, exploitation, and financial abuse. Someone convicted of 1st or 2nd degree larceny or 1st degree abuse of an elderly or disabled person is prohibited from inheriting, receiving insurance benefits, or receiving certain property. Residents have a voice in decisions that affect them within these communities. Information regarding the financial stability of the facility will be made more transparent. Residents will be notified of major construction or changes in ownership. Reasonable accommodations for disabilities are made under the Americans with Disabilities Act. EMTs have been added to the list of mandated reporters of elder abuse. In situations where abuse or neglect of an elderly person is suspected, the Department of Social Services may now petition a probate court to gain access to that person’s premises to make an assessment. For the purpose of DSS investigations and services, the definition of neglect has been expanded to include elderly people who do not live alone but whose caretaker fails to provide or arrange to provide for services necessary to maintain the physical and mental health of the elderly person. The Department of Social Services must notify a nursing home resident’s designee or legal guardian of any suspected abuse, neglect, exploitation or abandonment within 24 hours of receiving notice from a medical provider or other mandated reporter. For more information, call 1-800-296-1467. Spanish speaking staff is available. Low-to-moderate-income families caring for someone 65 or over at home, who would otherwise be at risk of nursing home placement, can apply to this program. There are different levels of eligibility based on income and/or assets. For more information, and to receive an application or make a referral, call the Alternate Care Unit at CT’s Department of Social Services 1-800-445-5394. Insurance, contact the Connecticut Partnership for Long-Term Care at 1-800-547-3443. This program helps senior citizens, veterans and people with disabilities understand their transportation options and see all of the services available. For more information, please call 860-667-6207 ext. 17 or go online. If you or someone you know is a relative who is an appointed guardian of a child and does not receive foster care payments or subsidized guardianship benefits from the Department of Children and Families, you may apply for grants from these funds. The CHOICES program is an information source for services available to individuals age 60 and older and those with disabilities. 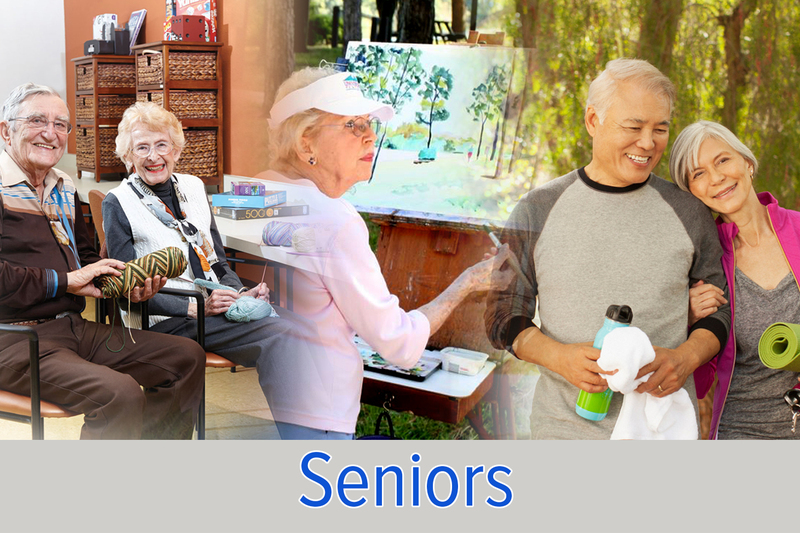 It provides help with Medicare and other related health insurance options. They also make referrals to appropriate agencies in order to help individuals get the services they need. Contact a CHOICES counselor at 1-800-994-9422 for assistance and help understanding the Medicare options available so you can make an educated choice about your coverage.